This article was originally published on December 3, 2010, in the Shenzhen Daily. 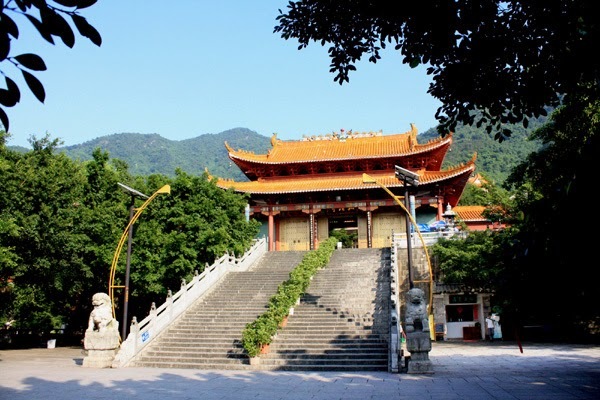 Months ago I promised a tour of Hongfa Temple, Shenzhen’s largest Buddhist temple. Today's the day. 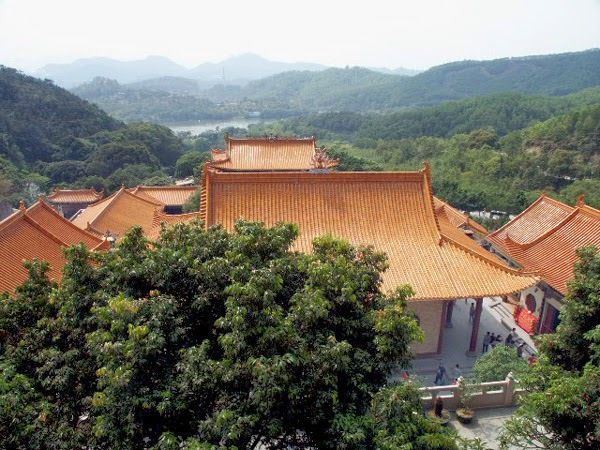 It is located in Fairy Lake Botanical Garden (admission 20rmb); take bus 218 or 382 to the gate, then a 2rmb shuttle base to the base of the temple steps. 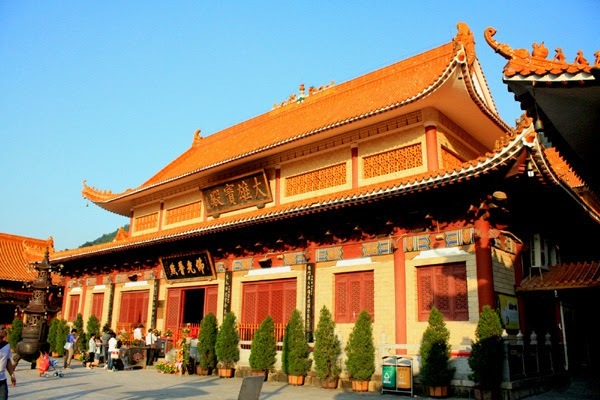 This model temple has all the typical elements of Buddhist temples in China. Past a screen wall is the Mountain Gate, with colossal figures of Generals Heng and Ha snorting and blowing their enemies away. 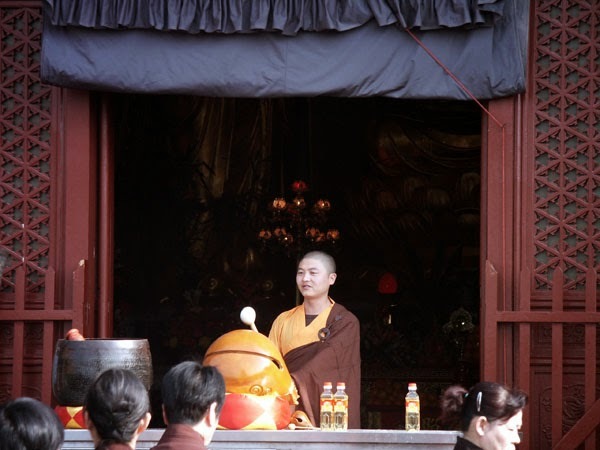 Next is the Heavenly Kings Hall, where the Laughing Buddha greets you; behind him Weituo warns you not to steal the temple's goods. Around them both are the Four Heavenly Kings themselves. 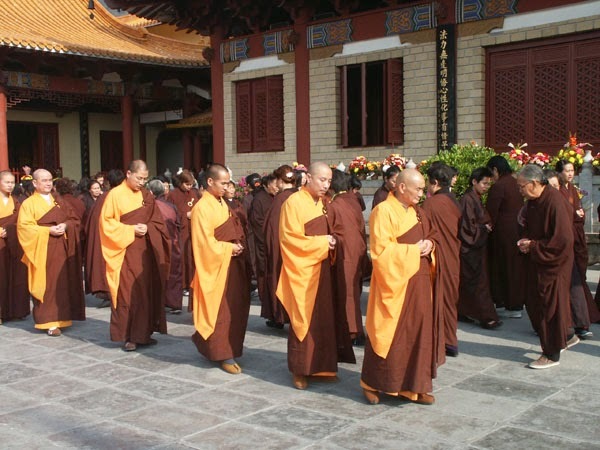 On the left side of this courtyard is a hall with Jialan (another temple protector) and on the right is the monk Huineng, one of Guangdong's "Cultural Gems." Up more stairs is a gallery, and further up is the Buddha Hall, where the historic Shakyamuni Buddha is flanked by Puxian (Samantabhadra) Bodhisattva on the left, and Wenshu (Manjusri) Bodhisattva on the right. 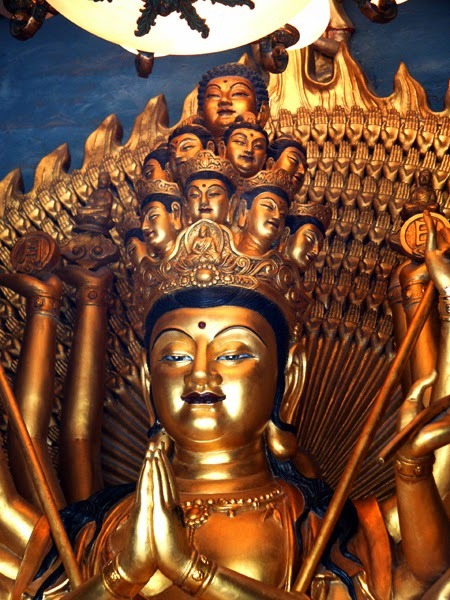 Behind them is a statue of Guanyin with a thousand arms, surround by numerous figures in what is called a "Guanyin Island." Ranged around this courtyard are four halls (clockwise from fornt left): Dizang (Kshitigarbha) Bodhisattva, Amitofo (Amitabha) Buddha, Yaoshifo (Medicine) Buddha, and Guanyin (Avalokiteshvara) Bodhisattva. Out to the right and down the stairs, find a dining hall and a hall with a statue of the Sleeping Buddha. Take the shuttle or walk back down to the front gate. 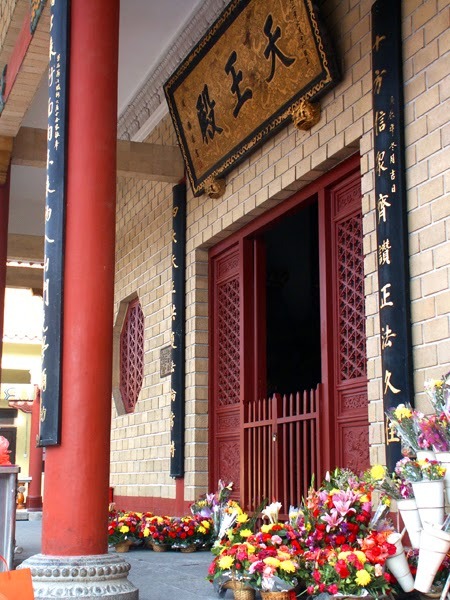 Hongfa Temple is located inside Fairy Lake Park.